Are you entranced by fire? You’re not alone – here at Unique Fire Pits, we are too! There’s something primal about an outdoor fire pit. An outdoor fire pit bowl is ideal, whether it’s for roasting marshmallows, cooking a BBQ feast, or just conversing around the warmth of the licking flames. An open outdoor fire pit has been a part of human life for as long as we’ve been cooking food – perhaps this is why, millennia later, we’re still mesmerised by fire! An outdoor wood fire pit is a symbol for our coming together and enjoying life. That’s why at Unique Fire Pits we stock just the backyard fire pit or garden fire pit you desire for your next dinner party, or just for quality time spent with the family at home. With Unique Fire Pits’ brand of backyard fire pit, you’ll enjoy many convivial evenings with family and friends. Our brand of quality garden fire pit brings people together! Since 2011, we’ve been crafting for Australians a type of outdoor wood fire pit that is market leading. Our wood fire pit is great for the connoisseur of the traditional barbequing technique. As all the master chefs will tell you, cooking meats and vegetables over wood or charcoal in a fire pit bowl vastly enhances the flavours of the food that’s cooked. There’s a reason, when you read ‘wood fired’ at a local restaurant, you usually read it next to the word ‘gourmet’. A wood fire pit is a great way to bring the classification ‘gourmet’ to your next meal! Impress your friends with a meal sizzled deliciously over a fire bowl or bbq fire pit! Be your own master chef with Unique Fire Pits’ outdoor fire pit range. Our quality craftsmanship of the unique brand of fire bowl or backyard fire pit is priced very affordably. We aim to produce a lasting type of outdoor fire pit for all Australians. Our outdoor fire pit is also ideal for retailers across the country, who’ll find our brand of fire pit a very popular product. Our outdoor fire pits and bbq's are crafted in steel, stainless steel and cast iron, so that customers can get the durable fire pit they truly desire! 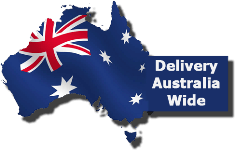 We deliver Australia-wide, including all major cities, Melbourne, Hobart, Perth, Adelaide, Brisbane and Cairns. This Cauldron will certainly make a statement in any backyard. It features great depth to allow you to really get a cracking fire burning that cant be missed It can be used in a wide variety of settings from rural to urban, rustic to high modern. Cradled in this dish shaped form, flames burn close, in an intimate display. Our BBQ Pits are our most practical pit. Transforming from a luxurious outdoor heater and conversation pit into a charcoal BBQ with the added ability to roast a spit. If you want a great alternative to a regular Charcoal BBQ and Spit Rotisserie then this Unique Fire Pit is the one for you. Now this is one Goblet you do not want to drink from, but The Goblet Fire pit will keep you warm while enjoying a casual drink and dinner with your friends and family on cold winter nights. The minimalist design of The Goblet Fire Pit makes it easy to load and disperses heat evenly. Religiously The chalice occupies the first place among sacred vessels and The Chalice Fire Pit is nothing less. Taking pride of place in your entertaining area The Chalice Fire Pit stands out like a beacon in the night, and its glow will draw your guests in closer together and be the catalyst for warm and relaxing conversation. On a rustic podium, the Flame Dancer sits. Swaying with emotion and elegance, Like a goddess Dancing in a flaming gold dress. The Flame Dancer will entice your guests with its waving and twirling. The Flame Dance Fire Pit by Unique Fire pits is a Simply elegant and Powerful centrepiece for any setting. The Globe fire pit is one which will truly stun your visitors when alight. Designed to reflect a global view of planet earth from space you will be mesmerised by this utterly awe inspiring Fire Pit. When it comes to "Something Different" The Globe Fire pit really hits the mark. No this isn't War of The World's its the Tripod Fire Pit by Unique Fire Pits. Like something straight out of Game of Thrones with a Chalice like Pit hanging suspended from a Tripod it has an Epic feel to it. You may have to restrain your friends from going for a swing in the early hours of the morning after a late night soiree. The Lotus is a new design to the Unique Fire Pits Family. It has been inspired by the Lotus Flower about to bloom open. This design offers diverse perspectives depending at what angle you look at it, and is quite mesmerizing when flames are dancing out the top of it Please contact us for more details. Stainless Steel fire pits are now a part of the Unique familyas these beautiful, elegant and timeless fire pits made entirely out of Stainless Steel and will last for generations to come We are proud to say that we are the only business in Australia to offer them as they will certainly attract a lot of attention ! !